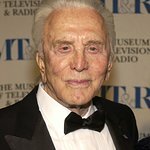 Veteran actor Kirk Douglas – along with his wife Anne – will once again host his annual Thanksgiving meal for the homeless on Los Angeles’ Skid Row on November 25. For the past five years Kirk Douglas and his wife have hosted the street dinner at the Los Angeles Mission. Volunteers from TV, radio and movies, political leaders and others will bring Thanksgiving a day early to thousands of homeless men, women and children. The day will feature the traditional Thanksgiving dinner of turkey, served hot and fresh in a friendly family atmosphere. Los Angeles Christian Health Centers will provide foot care and exams at the event. Already scheduled to help out this year are Corbin Bleu (High School Musical), Booboo Stewart (The Twilight Saga – Eclipse), Carolyn Hennessy (Cougartown), Naya Rivera (Glee), Aldis Hodge (Leverage), Congress Members Maxine Waters and David Dreier, Sheriff Lee Baca, and others. For over 50 years, the Los Angeles Mission has served the people of Hope Central (known as Skid Row), providing emergency services such as shelter, food, clothing, as well as professional medical and dental services. In addition, the Los Angeles Mission also offers long-term residential rehabilitation programs including education, job training/placement, transitional housing and counseling. 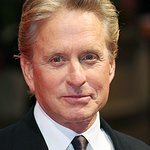 Celebrity guests in the past have included Harrison Ford, Calista Flockhart, Jennifer Love Hewitt, Melissa Gilbert, Michael Douglas, Minnie Driver, Leeza Gibbons, Sally Kirkland and Kevin Nealon, all of whom have helped prepare, serve and clear plates. Last year, more than 3,000 people were fed a full course Thanksgiving dinner with all the trimmings.